Lansdowne located in the higher altitudes ( 1,700 meters ) of Uttarakhand is one of the best destinations for a holiday. The place is calm and serene, and the ambience is also blissful, which in turn, can provide a wonderful respite for people. Apart from the refreshing and relaxing scenery that one can find here, there are large numbers of places to visit in and around Lansdowne. 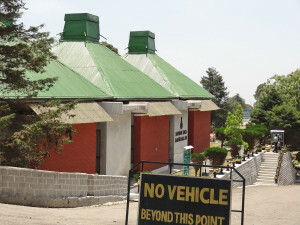 This is one of the most visited places in Lansdowne. There are plenty of portraits of war heroes and war weapons. The war memorial is located at the Parade Ground. There is a rustic charm in this memorial, which should definitely be explored by the tourists who visit this place at any time of the year. Situated near to the St. Mary’s Church, Tip-In-Top is popular destination and preferred place of the trekkers. The place provides glorious view of the Himalayan ranges. One of the oldest buildings in Lansdowne, built in 1888. It gives a great peek into the heritage of the time. It has been very well maintained and a must to visit. The St. John’s Church is located on the Mall, just above the road. This Church holds special significance as it is the only Church of worship in the hill town. This artistic church situated on the way to Tip-in-Top, was built by Colonel AHB Hume in 1896. St Marry’s Church fell into disuse after 1947. This 116-year old church has separate rooms inside which displays pre independence photographs. 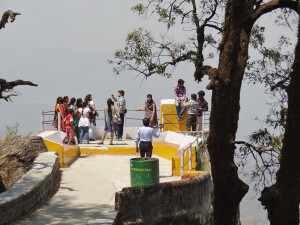 The Bhulla Taal is a small artificial lake built in 2003, thee is boating facility also. Lover’s Lane is one of the best treks in Lansdowne with cloudy valley and view of distant peaks on one side and teak, oak and blue pine trees on the other. This temple is located close to Lansdowne at a height of 2092 mts. The deity of Lord Shiva is enshrined in this temple. The temple is located in the midst of dense Deodars, oak trees and pine forests, and the panoramic view of the temple is worth watching. This is basically a sacred ashram which is bordered by thick forests and hillocks. There is also a temple located near this ashram, and the temple has mythological significance. It is believed that Shakuntala had given birth to her son in this temple. Apart from that, the location of the temple is also absolutely wonderful. 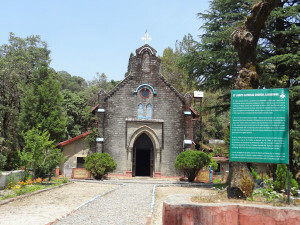 This is also a popular place of religion located in the area of Garhwal. There is a temple located here, and this temple is dedicated to Goddess Durga. Navratna is one of the best times to visit this temple, because the festival is celebrated in grand splendor. By Air: The nearest airport is Jolly Grant in Dehradun about 125kms from Lansdowne. By Rail: The nearest station is at Kotdwar, 42 km from Lansdowne. By Road: Lansdowne is well connected to near by cities Kotdwara, Nainital, Pauri and other regions.